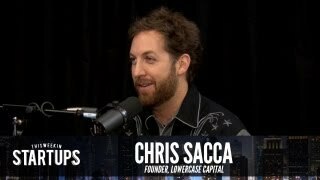 Christopher Sacca (born May 12, 1975) is a former American venture investor, company advisor and entrepreneur as well as a former lawyer. He is the proprietor of Lowercase Capital, a venture capital fund in the United States that has invested in seed and early-stage technology companies such as Twitter, Uber, Instagram, Twilio, and Kickstarter. As of 2017, he has appeared as a Guest Shark on ABC's Shark Tank. 5:00 Chris, welcome to the show. 6:15 What is it that you do on a daily basis? 9:15 Chris: There's a lot of garbage getting funded today. 10:00 What does it mean to be a founder in your book? 12:15 Is fearlessness a good trait? 14:45 Has it become too easy to become a founder? 19:15 How did you wind up being an investor in companies like Facebook, Twitter and Uber? 20:00 Chris shares the story of how he found himself in a huge financial hole. 25:30 Thank you to Stamps.com for their support of the show! Everyone go to stamps.com and use the code TWIST for your free, 4-week trial. 28:15 Chris resumes his story of how he gambled and lost big. 29:45 What happens when people come to collect on the debt? 34:30 What was Speedera's business? 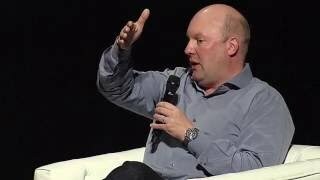 35:00 How did you land at Google? 38:15 Chris: My first angel investment was in Photobucket. 40:00 Is it right that you once took over on the secondary market for most Twitter shares? 44:30 True or false: people in the Valley tend to be like "dude, I got you,"--until the money comes in. 47:45 Has VC behavior gotten better or worse in the last decade? 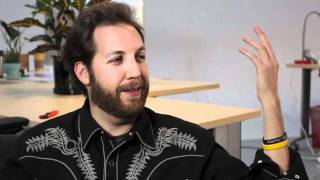 50:30 Tell me about Garrett Camp of Stumbleupon. 51:45 Twitter, some would say, is screwing over the developers that helped build it. What's your take on that? 1:00:00 Are you slowing down on angel investing right now? 1:01:45 Chris reveals the existence of the fund Lowercase Stampede. 1:03:30 What gives you the ability to look at a new space with fresh eyes? 1:05:30 How did you get involved in Hollywood? 1:07:00 What do you think the impact of Kickstarter is on the entertainment business? 1:10:15 This concludes part one of Jason's interview with Chris. Party two is coming soon--stay tuned!